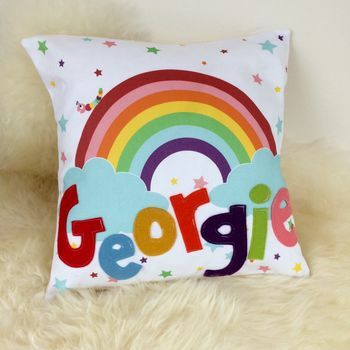 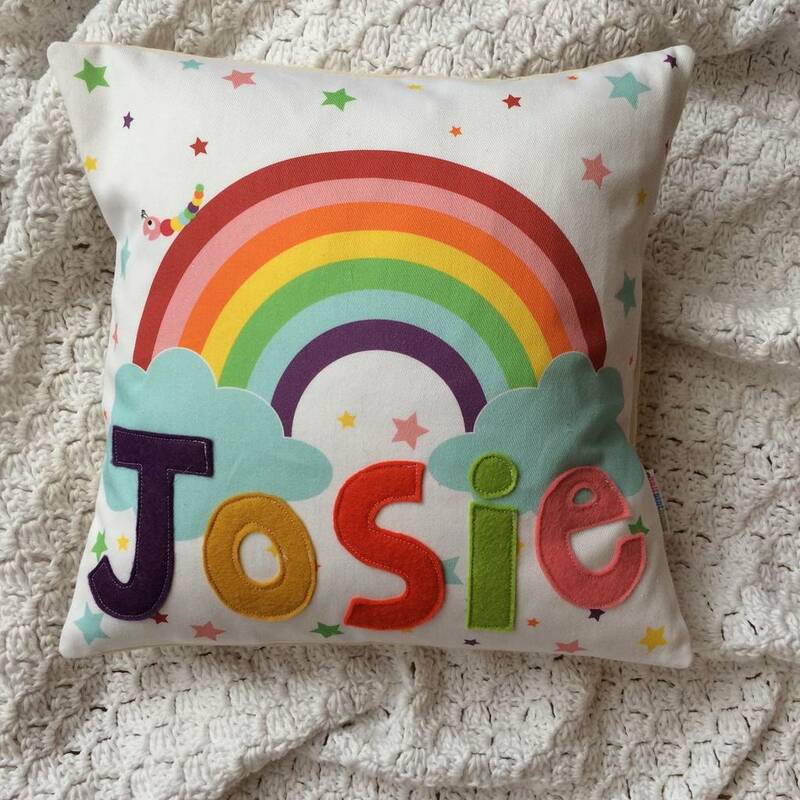 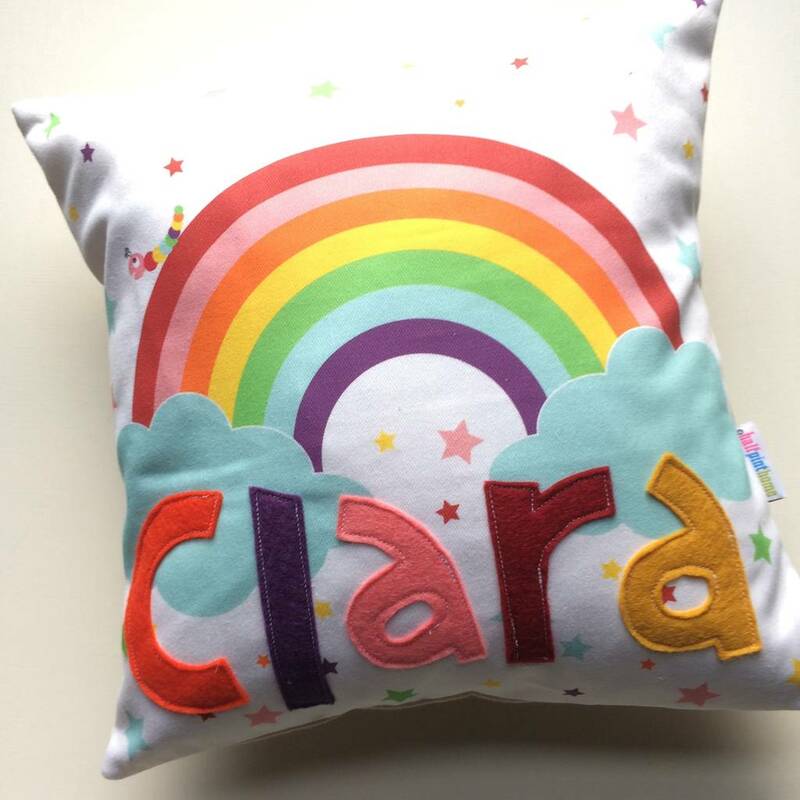 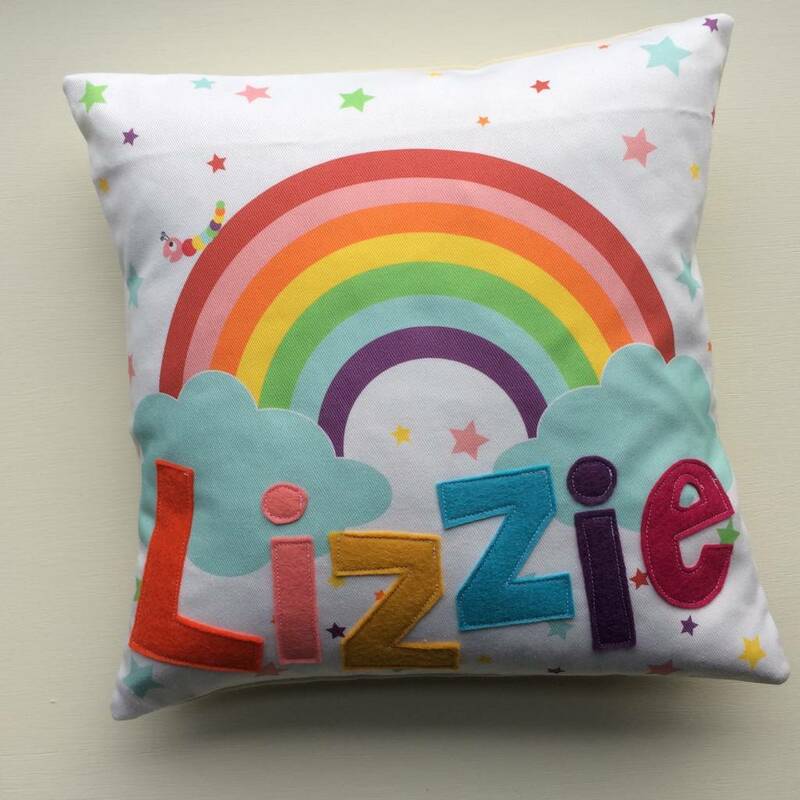 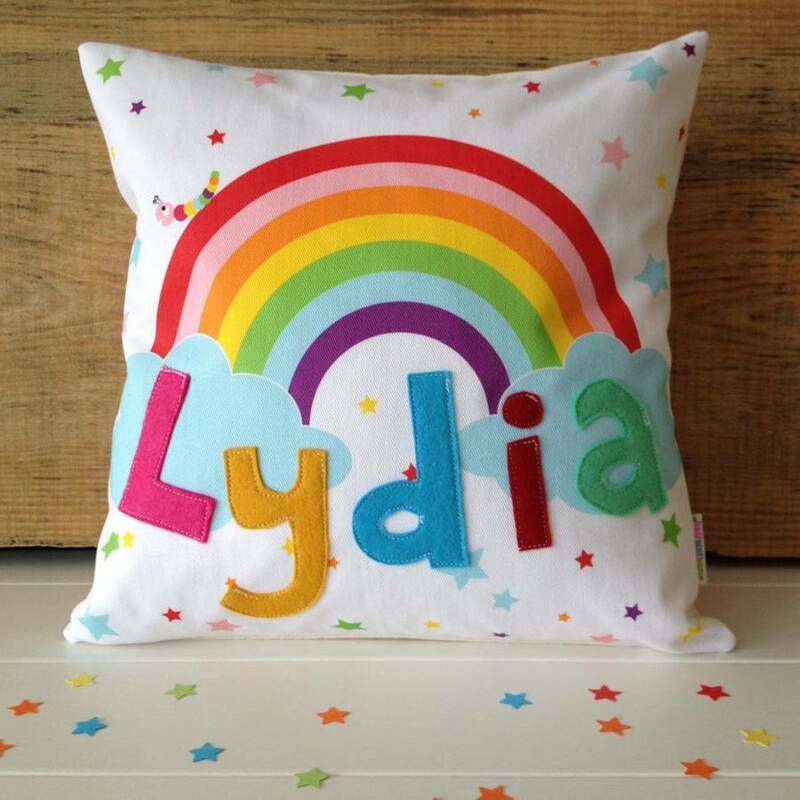 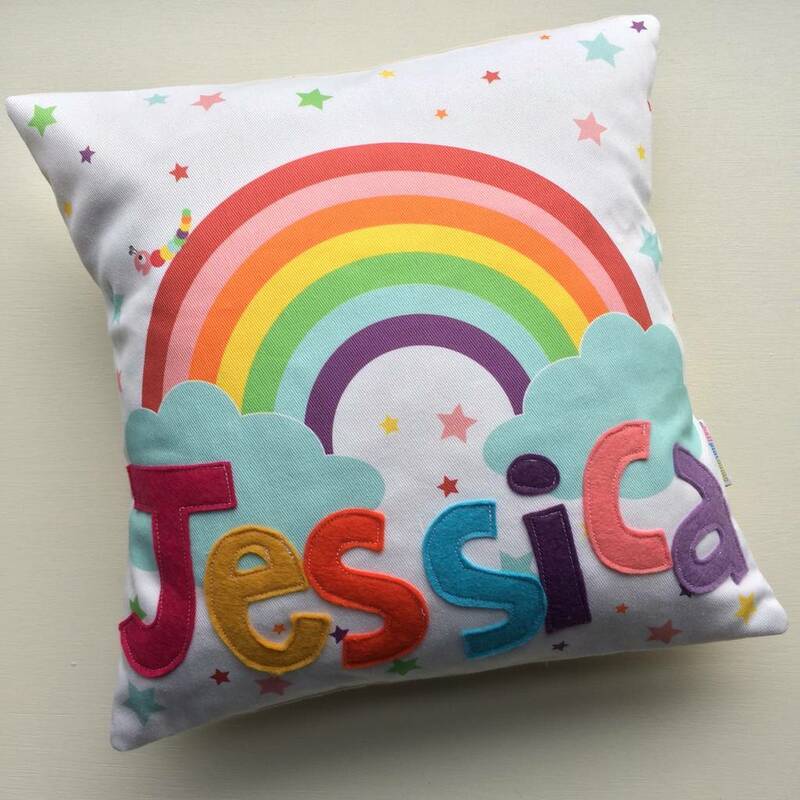 A colourful personalised children's rainbow cushion, handmade with care. 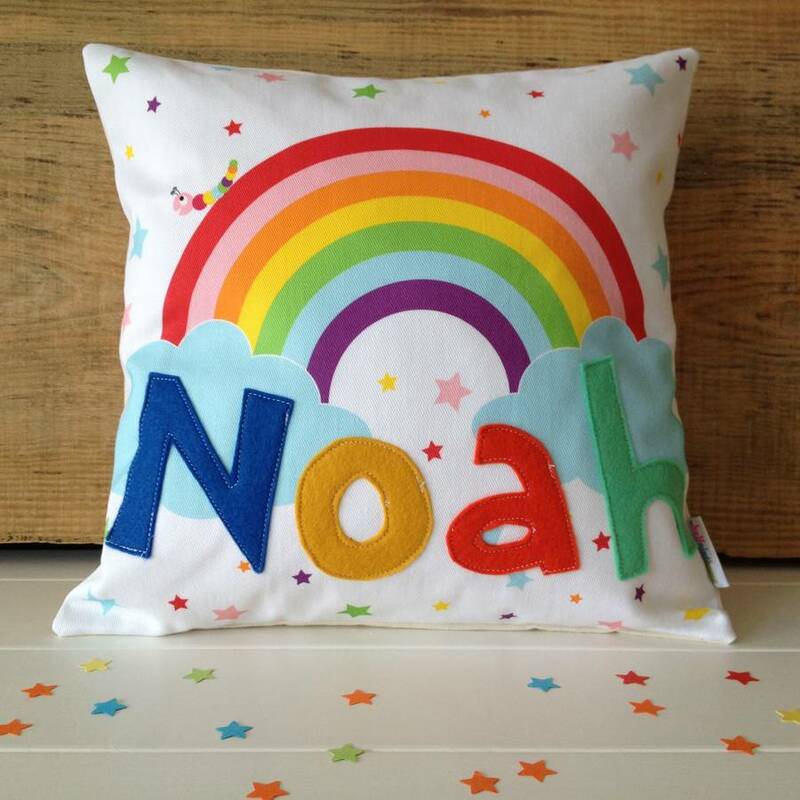 This is a beautiful keepsake for a nursery or a gorgeous personalised new baby gift. 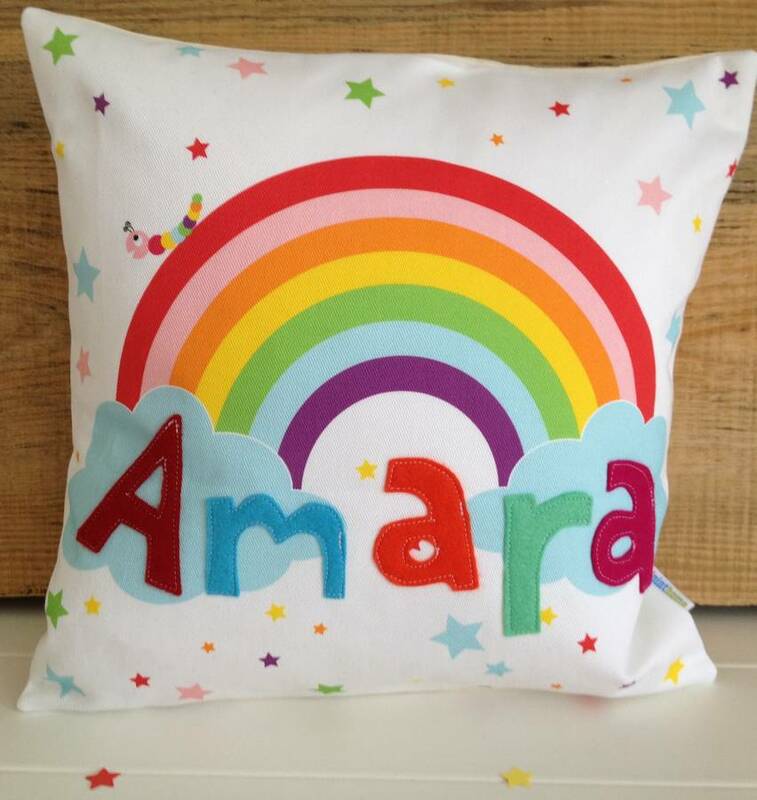 This well made personalised children's cushion is illustrated with a colourful rainbow and can be personalised with a child's name. 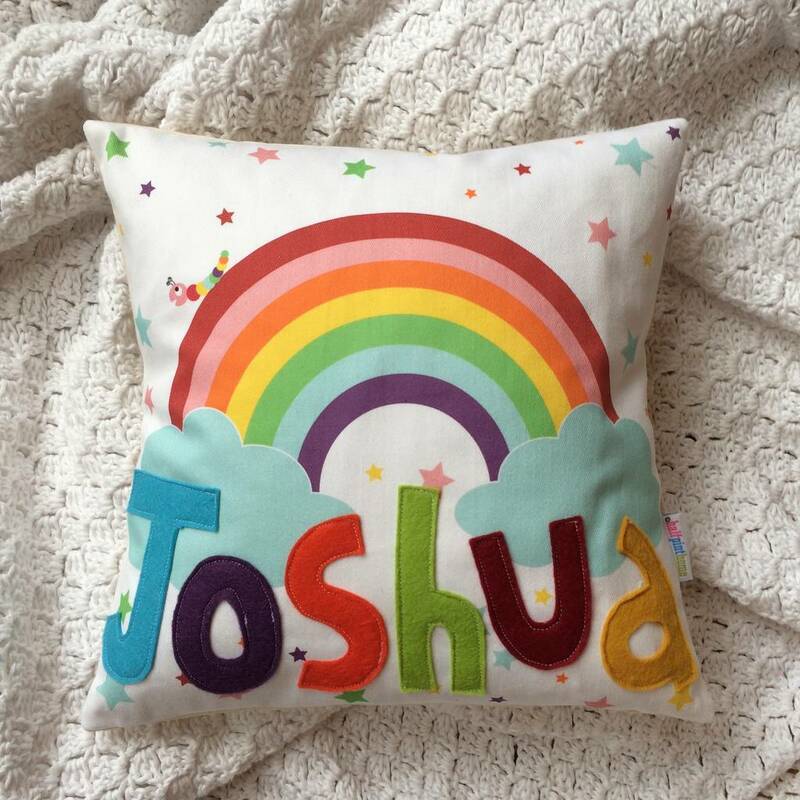 Handmade with care, each rainbow cushion is unique with felt hand lettering, individually stitched onto the cushion. 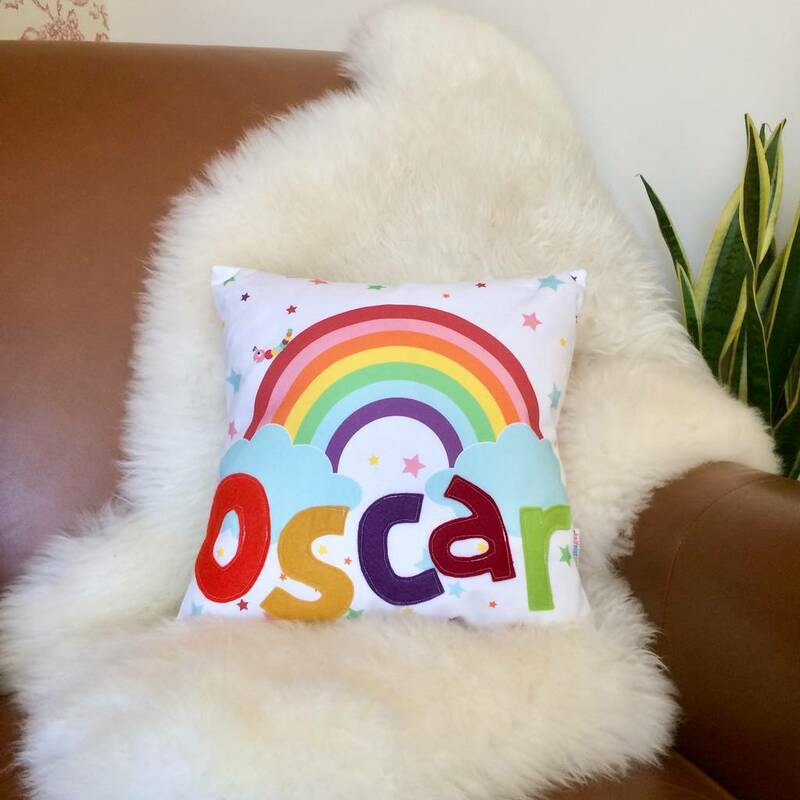 The rainbow cushion is made with a heavy weight cotton twill and comes ready to use or give, with a feather cushion pad inserted. 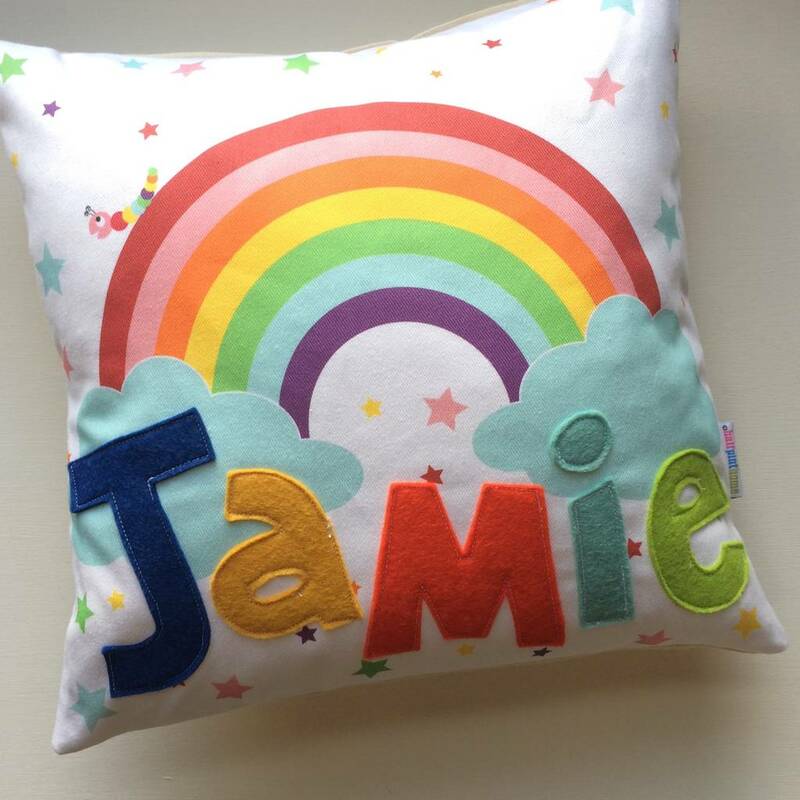 Each name stitched onto each rainbow cushion will be cut from a selection of rainbow colours. 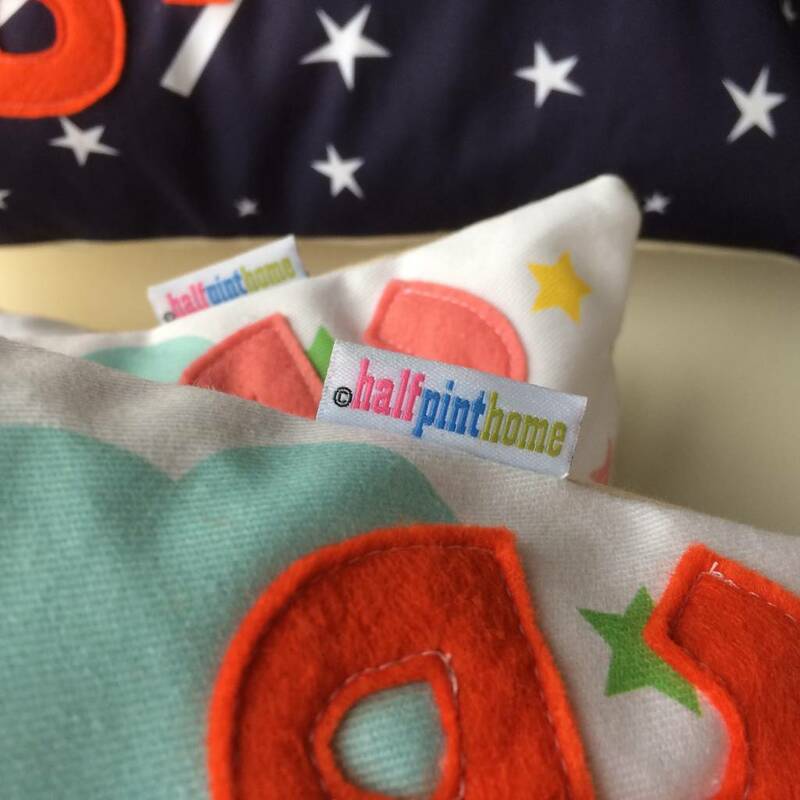 Indiviually hand made each one is special and different, even if you order two with the same name.